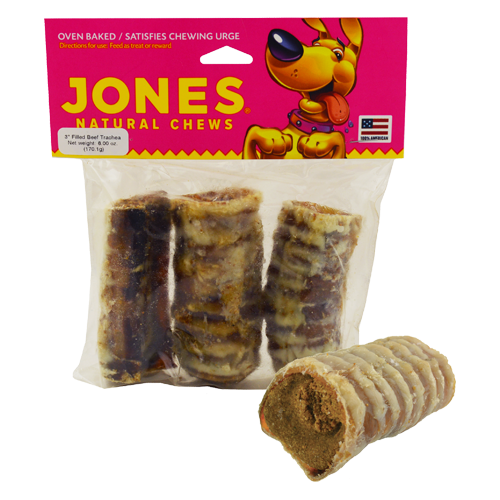 Windees are made of USA natural beef trachea or windpipe and are a natural source of glucosamine, which aids in joint health. These windees are a double treat, stuffed with real chicken and rice. Stuffed windees will keep any size dog happy and busy! All Jones products are 100% grown and made in the USA.